So I have stolen a few precious moments to write. My beautiful little boy is napping. We have had an eventful day. Making the most of the blue sky and sunshine, we went for a walk as Jonathan was tired but wouldn’t give in to sleep. After 5 minutes in the pram he was zonked. My plan worked. I enjoy the fresh air and getting the opportunity to escape from the four walls of home. We went to the library (my favourite place in town), followed by Costa to get a drink to take away. 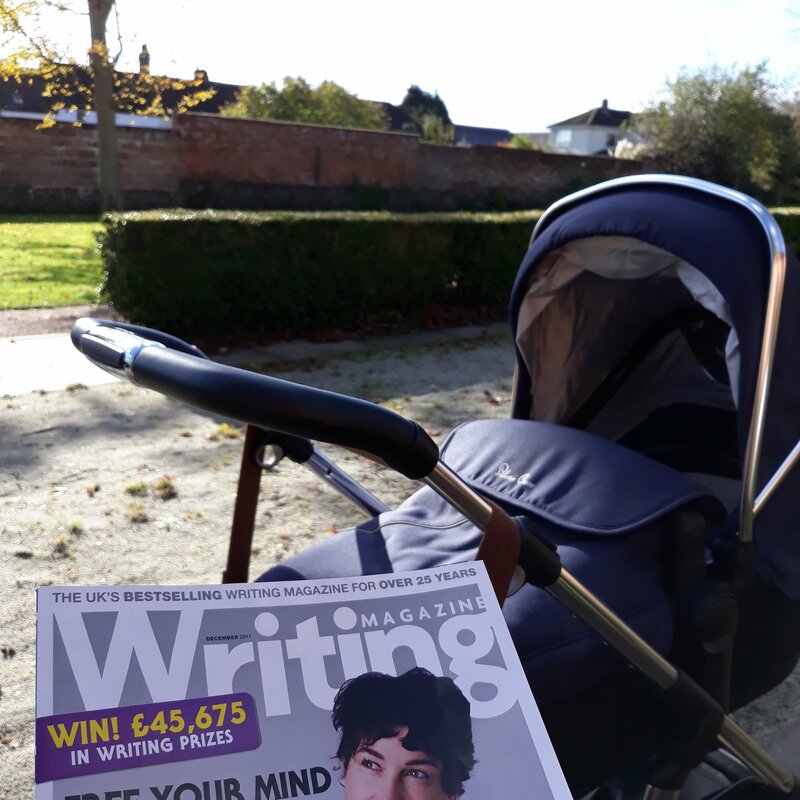 Then I sat quietly in a beautiful garden open to the public and took a quick look through Writing Magazine. It was so nice to have some time out. It was however very brief as Jonathan began to stir. He opened his eyes and looked around slowly. He seemed content so I made the brave decision to walk a little further to the local children’s centre. Jonathan began to cry. I wanted to pop in and out but ended up staying at the centre to feed him. He still cried after his fill so I proceeded to the baby change facility. He decided the best time to do the world’s longest wee was when I was mid-changing him. It carried on for what felt like ages and I was too shocked to act. Why? It went all over him, my leg and the floor. I was stunned. Then I felt angry at myself because I forgot to pack him a change of clothes. I tried to make the best out of the situation but felt awful. We left promptly after that. He napped again on the way home as I felt the cold air against the wet wee on my trouser leg which I must emphasise did not come from me if you only skimmed the first part! In the brief moments when baby sleeps I am able to catch up with various things. Writing, chores, bible reading. Today I read Psalm 127. 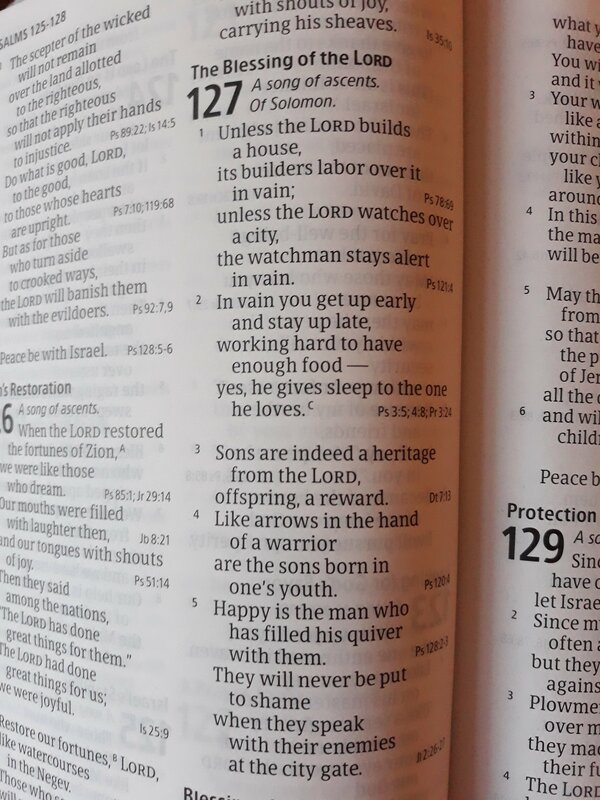 Sons are a heritage of the Lord. Offspring a reward. These quiet times as I watch my son sleep remind me that he is a gift that God has given. That is what the name Jonathan means. God gave us a son – a heritage and reward. God grants us rest and sleep. We have a God who gave Himself fully to humanity so that we may become His sons and daughters. God gives. Today I am thankful to receive the gifts He has given, namely Himself.